The School of Education at SUNY New Paltz will hold the 22nd annual Multicultural Education Conference on Friday, Nov. 18, from 8:30 a.m. – 2:30 p.m., at the Student Union Building on the New Paltz campus. The conference theme, “TOGETHER: Creating Educational Equity with Courage, Alliances and Action,” aims to bring together educators, students, parents and community members to gather fresh insights and make connections with others who are working to create equitable schools that enable all young people to achieve. The program is highlighted by a presentation from keynote speaker Yohuru Williams, professor of history and dean of the College of Arts and Science at Fairfield University. 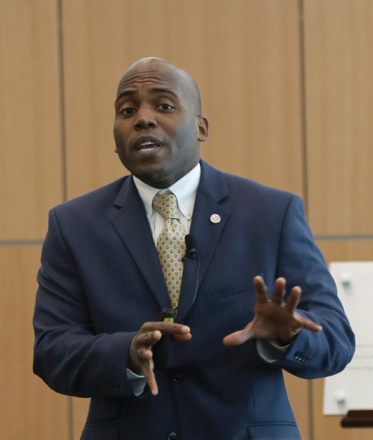 His talk, “You are the Giants: Assuming your Place in the Struggle for Educational Equity and Social Justice,” makes an impassioned argument, drawing from examples offered by the civil rights movement and other social justice initiatives, that educators and young people have the power to challenge educational inequities and transform the future. The conference will also include a cultural arts performance, “La Cosecha / The Harvest,” a magical-realist puppet play about an “undocumented” farm-worker in the fields of America, presented by the Arm of the Sea Theater and featuring the Nuevo Cancion music of Latin America. In addition to these exciting features, the Multicultural Education Conference offers more than a dozen workshops on subjects including the impact of media bias on students, the challenge of creating schools that welcome and support LGBTQ students, and the underreported history of African Americans in Hudson Valley education. Each session is designed to give attendees opportunities to think about applying multicultural and socially-just practices to educational settings, in the context of the increasing standardization and privatization of teaching and learning. 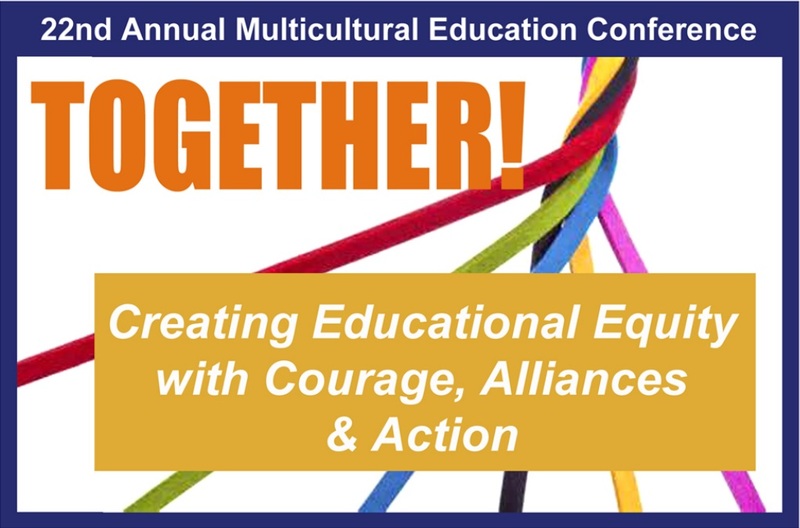 The Multicultural Education Conference was founded 22 years ago by a group of community and educational organizations that included the Humanistic/Multicultural Program and School of Education at SUNY New Paltz. Their objective was to address the need for advanced professional development for educators and to provide ideas and support to students, community members, as well as educators, that would enable them to make their schools and communities more socially just. The deadline for registration is Nov. 1. For registration information, contact Christine Waldo-Klinger at conferencing@newpaltz.edu or call (845) 257-3033. Tickets cost $45 for adults and $10 for students. K-12 educators may register online. Lunch is included in the fee. For additional information about the conference program, please visit us online or contact Nancy Schniedewind, professor of Humanistic/Multicultural Education, at (845) 257-2827 or schniedn@newpaltz.edu.